This is an awesome book. You get not only ghost stories but you get photo's and history of the castle and the people that were in it as well. I am more then a fan of ghosts, I am also a armchair traveler and a history buff. This book was so interesting I could hardly put it down. 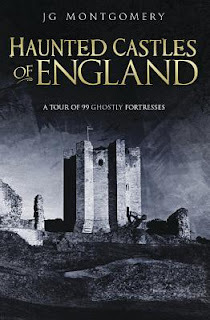 The book takes you on a trip through 99 Haunted Castles in England. They are broken up between regions. It also gives a website for each castle so you can go online and learn more about the castles. There are also some first hand accounts of witness and even the writer. I like how the witness accounts are dated by the year the account was encountered. This book is very well written and very interesting to me.